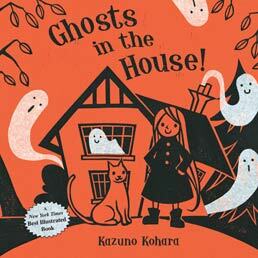 Bedtime Stories: Ghosts in the House! Ghosts in the House! by Kazuno Kohara. By golly, but this is one adorable book! Sure, it’s full of ghosts, and there’s a witch, but there is nothing less spooky than this clever little ghost story. A little girl and her cat move into a new home. However, the house if HAUNTED! Positively teeming with ghosts! Luckily, this little girl is a witch and she LOVES ghosts! With the help of her cat (who, inexplicably, is decked out in a cat costume) they gather up the spooks, run them through the wash, and use them to decorate their new home. Turns out ghosts make lovely curtains and tablecloths, and pretty good bed linens too! If you have a kid who is easily spooked (mine is, but only about the most arbitrary things; Alvin and the Chipmunks and the Wolfman is too scary, but Harry Potter is just fine) not to worry; the ghosts are super happy to be strung up as curtains. They are positively smiling about it! It’s a really cute book that we bust out every Halloween, and it gets a lot of love during those weeks. Movies in Bed: It’s the Great Pumpkin, Charlie Brown! Though the thrill of Halloween and the festivities and decor the season brings with it still resonate deeply inside me, I must confess to feeling at a loss as to how to properly celebrate this ghoulish holiday as an adult. Truth be told, I find little enchantment in the idea of going to parties where drunken Draculas, kissy-face kitty-kats, and naughty nurses mingle and cavort whilst techno-rave renditions of the Monster Mash thump from cotton cobwebbed speakers. 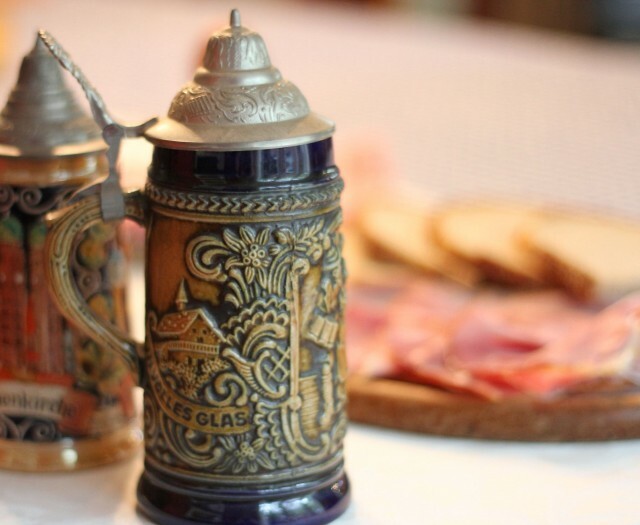 Heck, if I had my druthers Halloween would remain the holiday of my childhood, with trick or treating, haunted houses, and pumpkin carving taking precedent over frat guys dressed as popes pounding Pabsts. 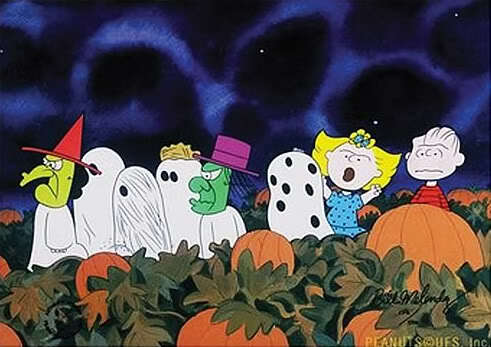 Maybe that’s why today much of my Halloween tradition includes watching as many spooky holiday specials as I can. Because I lose most of my ability to be judgmental when confronted with an animated jack-o-lantern, the majority of these programs have little-to-no artistic merit. Oh sure, there’s probably a way someone could construct a found poem from the dialogue spewed forth in the wittily named “Fat Albert’s Halloween Special,” but I merely prefer to sit back and allow America’s second-favorite rotund representative of the inner city (tip of that hat to you, Biggie) to enlighten me through shoddily animated examples of the proper ways to inspect Halloween candy. Occasionally, however, certain holiday cartoons are able to excel beyond their “sponsored by Pudding Pop” pedigree. With its lovingly neurotic and sincere tone, “It’s The Great Pumpkin, Charlie Brown” is just such a feature. In fact, other than the previously reviewed “The Worst Witch,” it may rank as my favorite Samhain special. Here’s what you need to know: no one likes Charlie Brown, yet that doesn’t stop him from wishing everyone would. Here’s what you also need to know: No one else believes in the Great Pumpkin, yet that doesn’t stop Linus Van Pelt from wishing that the grand gourd of the night will pay a visit to his most sincere of pumpkin patches. While I am aware that, on the surface, this may sound like a story about disillusionment and the realties of dementia and class-based ostracism, what makes this Halloween tale so charming, disarming—as well as a boon for urban pumpkin farming—is its lack of pretension and its utter belief in the emotional and social worth of childhood desires. That may sound like a heavy way to describe a bunch of Peanuts, but what separates “It’s The Great Pumpkin Charlie Brown”’s wheat from the rest of the cartoon chaff is the way in which it honors and acknowledges the fears and foibles that plague the minds of the under-10 set. These characters pursue their dreams not to teach viewers the proper way to look over a mini-Snickers bar, but rather to show them that being different doesn’t stop you from still being worthwhile. Perhaps, then, it’s Ol’ Chuck and Linus who showed me that, even in my old age, it’s okay to want a Halloween free from the noise of one-too-many Long Island Iced Tea-induced Alice Cooper karaoke contests. Me? I’d rather be sittin’ in a pumpkin patch, waiting to hear something go bump in the night. Every Sunday, my toddler boys and I take a walk to our local Dunkin Donuts to bring home after supper treats. This weekend, my older son took a special interest to the leaves that had fallen to the ground. The leaves served as a reminder that the crisp days of fall had begun. Along the way, he collected all different types of leaves, claiming he wanted to make a leaf collection book. He found beauty and interest in even the leaves that I would have never stopped twice to look at. Leave it to the naïve and untainted mind of toddlers to help me appreciate art in nature. So now I have a collection of leaves drying in the garage and a new inspiration for bedroom décor ideas. 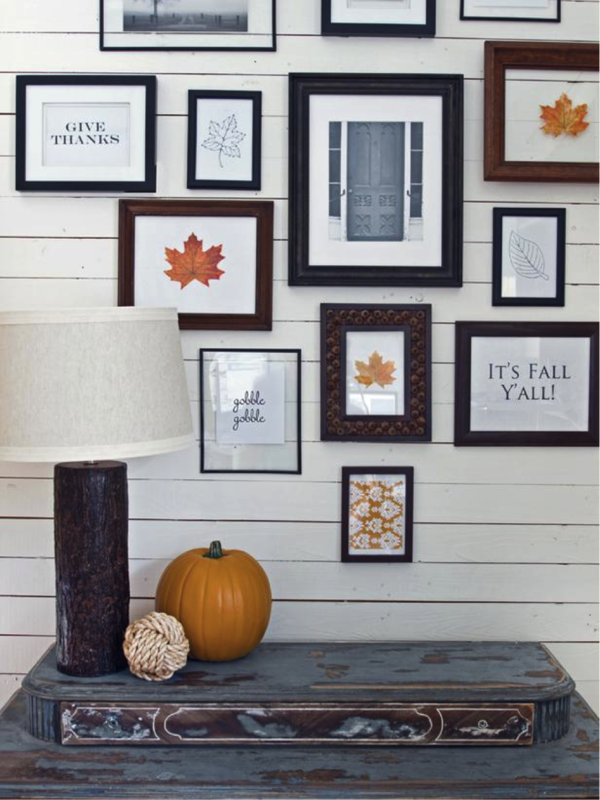 Instead of a leaf collection, how much more special would it be if I could frame the leaves that we collected into a hanging photo collage? The foliage colors are a surefire way to warm up the bedroom walls. I like the idea of incorporating only a singular leaf in each frame to showcase the unique aspects of each leaf. This one of a kind décor is a wonderful way to preserve and relive my cherished strolls. If I could enlarge the leaves that we discovered this is what I would like it to look like – a large, framed abstract print hanging in the bedroom. The orange and yellow hues and a fresh bouquet of living flowers are a vibrant take on the fall season. A plush and vivid throw further enhances the feeling of warmth in the bedroom. The seagrass wallpaper indicates that summer will be back again soon. It’s easy to get carried away and collect too many leaves. In that case, a wreath is just the answer. 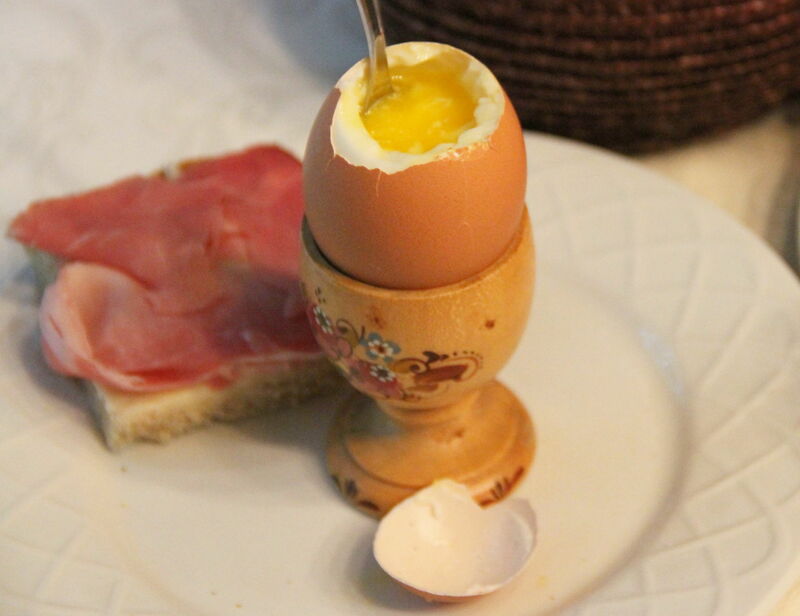 However, this would be one of the times it’s easier to buy than attempt a DIY. If made by a local artisan, ask if the wreath can be custom designed to include the items from nature that have been picked out. A wreath of leaves can capture the beauty of fall and make a great contribution to any bedroom design. They can be placed over the bed or even on the bedroom door. Acorns, branches, berries, pinecones and other items are added elements that can give the wreath more texture and color. In this bedroom example, the use of fluffy bed linens such as velvet and fleece lend a cozy air to the bedroom while a nature inspired nightstand completes the look. 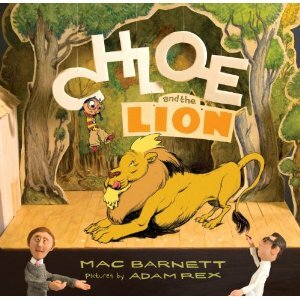 Chloe and the Lion by Mac Barnett. Illustrated by Adam Rex. Chloe and the Lion starts out like your run-of-the-mill children’s picture book, telling the story of a little girl named Chloe who spends her weekdays collecting change and the weekends riding the carousel with tickets bought in loose change. But one day, after too many rides, Chloe gets dizzy and lost in the woods. But the story takes a hilarious turn when author Mac and illustrator Adam have a difference of opinion over Chloe’s fate. Although Mac writes a lion into the plot, Adam Rex draws a dragon instead, insisting that a dragon is “way cooler”. And so the story carries on, more about the conflict between Mac and Adam and each trying to outdo the other. Poor Chloe can only wait for them to resolve their issues. But when Mac decides to illustrate the book on his own, the girl is so atrociously drawn that she decides to take matters into her own hands. What I love about this book is how genuinely funny and clever this book is. And although the meta-story may be a little above the heads of kids who don’t recognize that books are made by authors and illustrators, they can appreciate the terrible drawings and an author whose illustrator gave him a gorilla body. I intend to go and buy a copy of this book for myself.